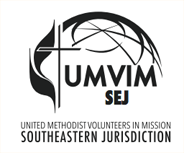 By completing this form, you allow UMVIM, SEJ to advertise in the UMVIM Weekly Update and our Team Openings & Mission Opportunities Page your need for additional team members. UMVIM, SEJ reserves the right to edit, delete, or not run the advertisement. Please make sure that all dates and the contact email address are correct before you click "submit." We will publish the team openings on our Team Openings & Mission Opportunities Page until 2-3 weeks before depature, unless you ask us to remove it before then. If your ad is for a Priority Project, please email sejinfo@umvim.org to discuss additional promotion.